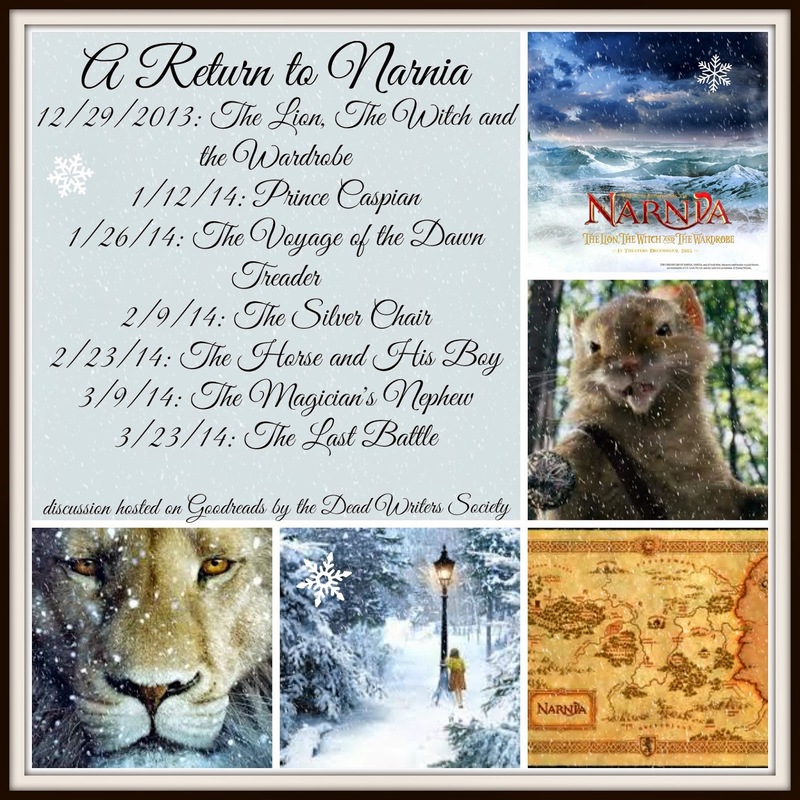 One year later, Peter, Susan, Edmond and Lucy return to Narnia (via a train station ---- I'm curiously reminded of Harry Potter) only to find their castle at Cair Paravel in ruin, the talking animals in hiding and a despotic foreign ruler, a Telmarine, has assumed control of the kingdom. The sacrifice of Aslan and the children's reign has been forgotten, reduced to a mere myth in the minds of the Narnians. Assisted by Trumpkin, a drawf, the children learn that they have been recalled by the blowing of Susan's horn by Prince Caspian, and that they must aid him in battle against his uncle, Miraz, the man who slew his father, the rightful king. Aslan appears to Lucy and, while she ignores his first summons under pressure from her siblings, she soon learns from a gentle remonstrance from Aslan, that she must always try to do what is right and not follow the crowd. She also realizes that she will never know what would have happened if she had obeyed the first time, that choices have consequences; lessons learned to increase her wisdom. The children finally reach Caspian's hideout and, with the help of the animals, dwarves, Aslan and Bacchus and his merry men, they manage to defeat the forces of the evil Miraz and place Prince Caspian on the throne of Narnia. 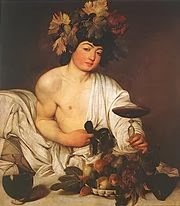 My, my, what is Bacchus doing in a children's book with Christian undertones?! Some critics were astonished and perplexed at Lewis' insertion of the Greek god of wine and merrymaking into this novel. His inclusion of pagan deities, into a hodge-podge of talking animals and quasi-medieval culture was perhaps mystifying, but Lewis grew up devouring Norse and Greek mythology and had no issues with the pagan gods. His essay, Myth Became Fact, can give the reader further clues as to his love of myth and the symbols related to it. Probably with this essay in mind, one Lewis scholar, Louis Markos, argues that he sees the Bacchus scenes as Lewis' way of bringing all pagan myths together, that "when viewed from the life, death and resurrection of Christ, the pagan myths are not only tamed but come true ……… Christ … is all the myths come true ….." The myths can assist us in a deeper understanding of spiritual realities. While Prince Caspian was published after World War II, in 1951, the consciousness of the country was still unsettled, and many people, Lewis included, were concerned with the direction England would take after the war. With setting the reign of the Pevensie children so far into Narnia's past, Lewis brings a curious parallel to his own post-war England. In Narnia, the people have forgotten Kings Peter and Edmund, Queens Susan and Lucy, the lion, Aslan, and the medieval pomp and joyous times of their reign. So, in post-war Europe, if the traditional medieval Christian past disappeared from peoples' thoughts and actions, so too would its values and morality. It was important that, like in the case of Lucy first seeing Aslan, the correct choices were made. "War creates no absolutely new situation; it simply aggravates the permanent human situation so that we can no longer ignore it. Human life has always been lived on the edge of a precipice." All in all, another delightful story from Lewis, filled with adventure, suspense, and life themes that are not only pertinent in Narnia, but echo throughout all the ages and into our own. Gee, thanks!! :-) This one almost had the men in the little white coats coming for me. It is so hard to review books that are so well-known. I mean, what can you say about them that hasn't already been said? So I'm just trying to throw in a few tidbits that people may not know, gleaned from my Lewis course and other sources. BTW, you did a great review too! Yes, I understand that "what else can I say" syndrome. It's funny, even when I reread the Narnia books as an adult, it never occurred to me to wonder at the inclusion of pagan myths into the story. That's just the way they were--perhaps I knew them too well from childhood! I like what Markos says and will have to check out the Lewis essay. You make a good point, Amanda. I think you're right that the average reader would not label the myths, but just read the story as it is. I'm assuming because Markos is doing an analysis or deeper reading and a comparison, he needs the word (or a word) to make a distinction. But you hit on what makes Lewis' books so popular; there is so much contained in them at a variety of different levels. I so enjoyed the Children's Literature Challenge for January. Thanks again for hosting and all your excellent posts. I look forward to a repeat! Excellent review of a story that I've watched, but never read. It's on my list of "Would like to read" books...actually the entire series of books is on that list. You've added a very interesting historical/contextual aspect to the book that will be good to keep in mind when I read this book. Thanks for your kind words, Harvest Moon. As I was telling Plethora, I struggled with writing this one, so all your positive comments mean alot to me. 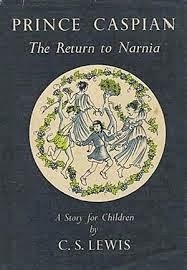 I am embarrassed to admit it but I haven't read ALL the Narnia books. I still have The Silver Chair and The Last Battle to read but this challenge will thankfully take care of that neglect. I hope you can get around to reading them soon. If your "would like to read list" is anything like mine, it just keeps growing and growing! !